The future of augmented reality in the tourism industry seems to be unstoppable and productive. This industry’s worth is more than 10 trillion dollars and will get a long jump by leveraging the superpowers of AR. Many companies and researchers are currently working on making the travel journey more comfortable, enjoyable and most importantly more safer. 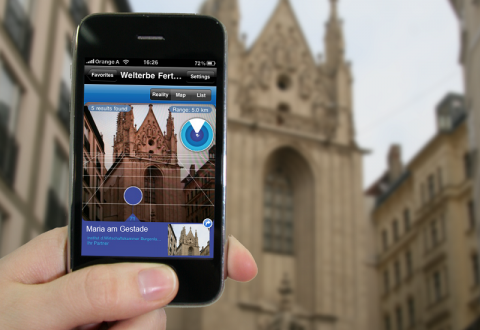 The biggest impact of augmented reality in the tourism industry will be on the navigation ecosystem. Those days are gone, where you need to scratch your head and understand how exactly the route is. By using augmented reality, now you will be able to check out the routes in a 3d aspect where you can follow the 3d route and reach wherever you need. The AR industry is working on one of the biggest problems in the tourism industry which is the communication barrier. There are apps available which can help you understand the language on the go. By using your phone’s camera, you can scan what’s written on the board, and the app will show you a new version in your native language within just a few seconds. Airports are overwhelming sometimes especially if you traveling for the first time. But not to worry, AR is contributing it’s best to make the airports more user-friendly and accessible for all. There are certain AR based apps available which will guide you to your boarding terminal. This is a life-saving feature if you are running out of time. 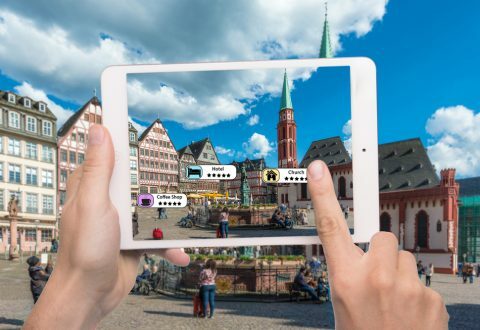 This is one of the coolest augmented reality tourism applications where you just need to scan a place or an architecture to grasp more information, reviews or ratings about that place. This service will be very helpful in for choosing the right hotel just by swiping. You will get a handful of information about tourists monuments, structures and more. The tourism industry is huge, and there are tons of opportunities out right there for the augmented reality to fit in. The future is more interesting when we look at the growth of AR and other high tech technologies; we will be in such an ecosystem where all these things will be an inseparable part of our lives.